Baby's first books in soft cloth and sturdy board book formats. Open an adventure today! 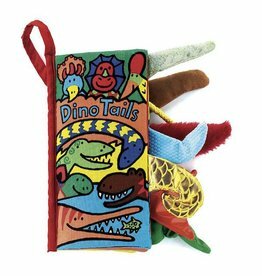 Dinosaurs come in all shapes and colours, as you can see in the Jellycat Dino Tails cloth book! 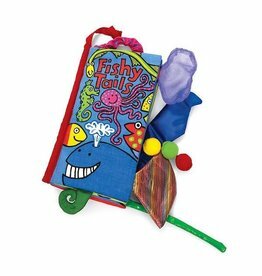 Explore the wonderfully whimsical world of Jellycat in the Fishy Tails cloth book. 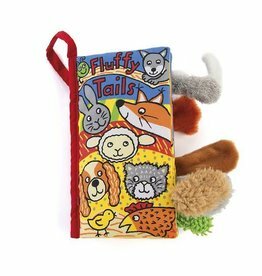 Plumes and brushes and fluffies and fuzzies - the Jellycat Fluffy Tails cloth book has so many tails! From shiny snails to twitching birds, bobbing bunnies and flitting flies, this soft cloth story explores them all! 8 inches. 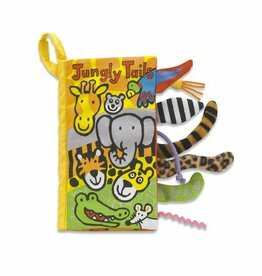 What a lot of funny friends, all packed into the Jungly Tails Book! Get to know jungle animals by their tails! 8 inches. Does a fish have a fluffy white bobtail? Does a parrot have a long furry tail? 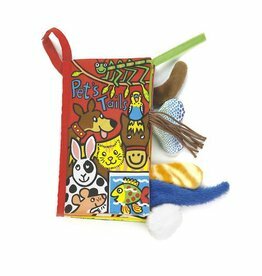 The Jellycat Pet Tails cloth book has the answers! Guaranteed to delight all babies with the bright colours and quirky shapes, you may end up reading Pony Tails more than once! 8 inches. Guaranteed to delight all babies with the bright colours and quirky shapes, you may end up reading Puppy Tails more than once! 8 inches. 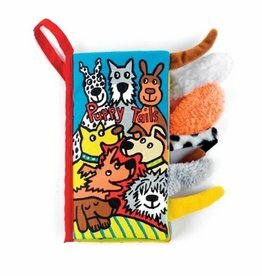 The Jellycat Silly Tails cloth book has just been released into the wild! Soft and safe, it lets you join in the learning with your little one. Unicorns are showing off their fabulous tails, from fuzzy to shiny to super soft! Unicorn Tails soft cloth book from Jellycat. 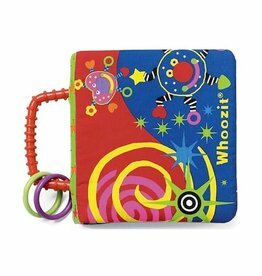 The Whoozit Activity Photo Album by Manhattan Toy lets little ones keep cherished photos at hand in this colourful, soft book.